Finland used to have one of the most sovereignty-oriented constitutions amongst the Member States of the European Union (EU). However, the EU membership attained in 1995 and the overall Europeanisation and internationalisation of the Finnish constitution during the 1990s contributed to a change towards a non-sovereignist constitution.1 This was evidenced in the new Constitution adopted in 2000 and, in particular, in the comprehensive constitutional revision realised in 2012. As a result, Section 1 of the Constitution of Finland currently entails both a clause on state sovereignty and a clause on EU membership as follows: ‘Finland is a sovereign republic. [–] Finland is a Member State of the European Union.’ How did this unprecedented constitutional regulation come about? According to Anneli Albi, sovereignist constitutions typically have several and detailed provisions on sovereignty. These constitutions refer to the concept of sovereignty or some proximate concept such as ‘independence’ and qualify it with expressions like ‘interminable’ and ‘inalienable’. Moreover, sovereignist constitutions do not include direct provisions on transfer of powers to international organisations or supranational organs. They can even contain limitations of international cooperation.2 Against these features, most EU Member States have non-sovereignist rather than sovereignist constitutions. 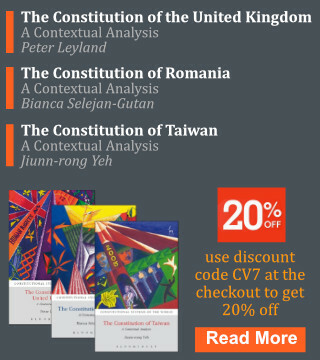 Nevertheless, a clear majority of the Member State constitutions include sovereignty clauses or other specific sovereignty regulation. Finland belongs to this group of states: Finland’s constitutions have always contained exact, explicit and absolute-natured sovereignty terminology in the form of a sovereignty clause, the formulation of which has remained the same despite the constitutional reform and revisions. Thereby, both the Constitution Act of Finland of 1919 (Suomen Hallitusmuoto, Act No 94/1919) and its successor the Constitution of Finland of 2000 (Suomen perustuslaki, Act No 731/1999) state in their Section 1(1) that ‘Finland is a sovereign republic’. The choice of minimalist constitutional adjustments in connection to joining the Union is not unprecedented in the EU context. For example, in Estonia, the accession was dealt with a separate act without direct amendments of the Constitution. In Denmark, the accession to the European Community (EC) and the treaty amendments thereafter have not been deemed to require amendments to the Constitution. Even in Germany, which currently has comprehensive constitutional regulation of the EU, the EC membership was initially covered by a general empowerment clause. In the constitutional review of the EU Accession Treaty5 the problematic areas picked up by the Finnish Government and the Constitutional Law Committee in regard to the sovereignty clause corresponded to those arising in constitutional evaluations given in other states, regardless of the difference in the time of the accession.6 Limitations of legislative powers, the competences of the European Court of Justice, and the principle of primacy of EU law have been common reasons to worry about in the Member States. In the Finnish review of the Accession Treaty the sovereignty clause still assumed a central role, but it took a new form of sovereignty-in-use type of argumentation. Thereafter, mentioning the counterbalance to the negative aspects of EU membership established itself as a standard part of the Finnish constitutional control of EU obligations. The transformation of the Finnish sovereignty interpretation was codified in the new Constitution that entered into force on 1 March 2000. This occurred with the insertion of a new principle of internationality next to the sovereignty clause.12 According to this principle expressed in Section 1(3) of the Constitution, ‘Finland participates in international co-operation for the protection of peace and human rights and for the development of society.’ The principle of internationality moderated state sovereignty as explicated in Section 1(1). According to the preparatory works of the Constitution of Finland, international obligations that are ordinary in contemporary international cooperation and affect state sovereignty to a lesser degree are not as such in conflict with the provisions related to state sovereignty. Moreover, the arguments stated that the sovereignty clause has to be seen in the light of Finland’s international obligations and especially considering Finland’s membership in the EU.13 In this manner, reference to the EU in the preparatory works for Section 1(1) and the principle of internationality in Section 1(3) replaced a EU clause and an empowerment provision. Within the constitutional review of the Treaty of Nice, the Constitutional Law Committee clarified the sovereignty evaluation for the EU treaties under the new Constitution of Finland, and these criteria were then applied for example in the constitutional control of the Constitutional Treaty.16 Even if the Nice Treaty was commonly viewed as constitutionally unproblematic in the Member States, its national ratification process, nevertheless, resulted in important clarifications of national sovereignty-related interpretation also elsewhere, like the establishment of the so-called Nine Points in Denmark and the clarification of the EU-related meaning of the principles of the Swedish system of government and of the Estonian fundamental principles of the Constitution. Within the constitutional review of the Treaty of Lisbon17 in 2008, the Constitutional Law Committee brought up the need to re-evaluate whether the Constitution should directly mention Finland’s EU membership and include an empowerment clause.18 The question of the minimalist constitutional regulation of the EU was indeed taken up in 2008 when the so-called decennial check-up of the Constitution of Finland commenced. This process led to the adoption of a host of amendments of the Constitution that entered into force on 1 March 2012 (Act No 1112/2011). Several of these constitutional adjustments aimed at increasing the visibility of the EU in the national constitutional regulation and affected significantly the entirety of the Finnish sovereignty regulation. A notable amendment realised in 2012 was the inclusion of a EU clause into the Constitution of Finland. Section 1(3) gained a new last sentence stating that ‘Finland is a Member State of the European Union.’ In addition, two empowerment clauses were inserted into Sections 94(2) and 95(2) with both of them referring to ‘[–] transfer of authority to the European Union, an international organisation or an international body that is of significance with regard to Finland’s sovereignty [–]’. Such transfer of powers can occur by decisions supported by at least two thirds of the votes cast both for the approval and implementation of the proposal in question. Thus the approval and implementation of EU-related and other international obligations did not became easier than before, because the quorum for the decision to be taken remained the same. The empowerment clauses removed the necessity to implement international obligations that are significant in respect to state sovereignty with exceptive acts. Thus, the doctrines established by the Constitutional Law Committee over the years on the so-called limited derogation and amendment of exceptive acts no longer apply to the constitutional evaluation of international obligations that limit state sovereignty. With these doctrines the constitutional practice pertaining to the constitutional control of international obligations had focused on the analysis of the possible new derogations to the Constitution and their scope. Democratic foundations of the Finnish Constitution as the limit of European integration? Currently the only limit to the transfer of powers seems to stem from Section 94(3) of the Constitution of Finland. According to this provision introduced in 2000, ‘[a]n international obligation shall not endanger the democratic foundations of the Constitution.’ This regulation is of the nature to bring Finland closer to, in particular, the German and Swedish systems where emphasis has been placed on the level of protection of fundamental rights and democracy in the constitutional control of international obligations. The Finnish provision is, nevertheless, quite modest, ambiguous and open-natured in comparison to the severe requirements on the content and goals of EU cooperation provided in Article 23 of the German Basic Law (Grundgesetz für die Bundesrepublik Deutschland, BGBl. I 1949, S. 1) and Chapter 10, Article 6 of the Swedish Instrument of Government (Regeringsform, SFS 2011:109). Section 94(3) does not specifically refer to the EU, and it has not been applied in practice. As a result, the Finnish constitutional system does not contain clearly expressed constitutional limits on the European integration. In the EU Member State comparison, the Constitution of Finland currently has a comprehensive set of provisions in regard to the EU, the transfer of powers, and international cooperation in general. The Constitution now contains an EU clause and two empowerment clauses regarding both the approval and implementation of international obligations. Notably this constitutional change occurred 17 years after Finland joined the Union. Similar slow reactivity to the membership and opaqueness of national regulation in regard to EU-matters is familiar from other Member States as well: there are 11 Member States without direct references to the EU in their constitutions.22 In addition, for example Sweden, which joined the Union together with Finland, included a constitutional clause that covers not only the EU membership but also that in the United Nations and the Council of Europe in its Constitution in 2011. This shows that constitutional amendments that aim at more open and integration and cooperation friendly national regulation can be adopted even very late on after the accession. After the amendments of 2012, Finland has taken definite steps towards a non-sovereignist constitution. Moreover, with this revision, Finland took a novel and rather bold step in international comparison by introducing the EU membership clause into the same provision that contains the sovereignty clause and which, furthermore, is situated in the very first provision of the Constitution. This shift was a result of a couple of decades of constitutional adjustments through practice: the amendments of the text of the Finnish Constitutions followed the transformation of the interpretation of the constitutional regulation of state sovereignty. Thus the constitutional reform of 2000 and the 2012 revision were more about increasing the openness of the regulation than about producing novel legal effects. As a result, the Constitution of Finland reflects now the central EU-related power arrangements that affect the Finnish state order. At the same time, Finland has also brought up the need to protect certain core aspects of state sovereignty, especially in connection to developing instruments to solve the Union’s financial crises. However, the current Finnish constitutional understanding of sovereignty can be described as integration friendly, when considering the texts of the Constitutions, the established sovereignty interpretation pertaining to the EU treaties and the scholarly conceptions of sovereignty. With the combination of the sovereignty clause and EU clause in one constitutional provision, the constant balancing of state sovereignty and EU membership is now more openly present also in the text of the Constitution of Finland. *The text is based on the author’s doctoral dissertation ‘Towards a Pluralistic Constitutional Understanding of State Sovereignty in the European Union? – The Concept, Regulation and Constitutional Practice of Sovereignty in Finland and Certain Other EU Member States’, which was presented for public examination at the Faculty of Law at the University of Helsinki on 19 March 2015. 1. Nieminen, Liisa: Eurooppalaistuva valtiosääntöoikeus – valtiosääntöistyvä Eurooppa. Suomalainen Lakimiesyhdistys. Helsinki 2004; Ojanen, Tuomas: The Europeanization of Finnish Law. In Luif, Paul (Hg): Österreich, Schweden, Finnland. Zehn Jahre Mitgliedschaft in der Europäischen Union. Böhlau Verlag. Wien 2007, p. 145–178. 2. Albi, Anneli: Estonia’s Constitution and the EU: How and to What Extent to Amend It? Juridica International, Law Review of Tartu University, VII/2002, p. 39–48, at p. 42. See also Albi, Anneli: Postmodern versus Retrospective Sovereignty: Two Different Discourses in the EU and the Candidate Countries. In Walker, Neil (ed. ): Sovereignty in Transition. Hart Publishing. Oxford 2003, p. 401–421. 3. See Statement of the Constitutional Law Committee on the approval of Finland’s Accession Treaty (PeVL 14/1994 vp). 4. See Ojanen, Tuomas: EU Law and the Response of the Constitutional Law Committee of the Finnish Parliament. In Wahlgren, Peter (ed. ): Constitutional Law. Constitutions. The Stockholm University Law Faculty. Stockholm 2007, p. 203–226. 5. OJ C 241, 29.08.1994, as adjusted by Council Decision 95/1/EC, Euratom, ECSC, OJ L 1, 01.01.1995, p. 1. 6. Government Proposal on the approval of Finland’s Accession Treaty (HE 135/1994 vp); PeVL 14/1994 vp. 7. OJ C 340, 10.11.1997, p. 1. 8. Government Proposal on the approval of the Treaty of Amsterdam (HE 245/1997 vp); Statement of the Constitutional Law Committee on the approval of the Treaty of Amsterdam (PeVL 10/1998 vp). 9. OJ C 191, 29.07.1992, p. 1. 10. de Witte, Bruno: Sovereignty and European Integration: the Weight of Legal tradition. In Slaughter, Anne-Marie; Stone Sweet, Alec & Weiler, Joseph H. H. (eds. ): The European Court and National Courts – Doctrine and Jurisprudence. Hart Publishing. Oxford 1998, p. 277–304, at p. 282. See Salminen, Janne: Täysivaltaisuuden rajoituksesta täysivaltaisuuden käyttöön – Havaintoja valtiosääntöisen täysivaltaisuuskäsityksen muutoksesta. Lakimies 7–8/2004, p. 1318–1339, at p. 1327–1328. 11. See in particular Maastricht (Brunner), BVerfGE 89, 155 (1993); Lissabon, BVerfGE 123, 267 (2009). 12. See Viljanen, Veli-Pekka: Eurooppalaistuminen valtioelinten välisissä suhteissa. Lakimies 7–8/2003, p. 1169–1183, at p. 1171. 13. Government Proposal on the Constitution of Finland (HE 1/1998 vp); Statement of the Constitutional Law Committee on the Constitution of Finland (PeVM 10/1998 vp). 14. OJ C 80, 10.03.2001, p. 1. 15. Statement of the Constitutional Law Committee on the approval of Treaty of Nice (PeVL 38/2001 vp). 16. OJ C 310, 18.07.2003, p. 1. See Statement of the Constitutional Law Committee on the approval of the Treaty establishing a Constitution for Europe (PeVL 36/2006 vp). 17. OJ C 306, 17.12.2007, p. 1. 18. Statement of the Constitutional Law Committee on the approval of the Treaty of Lisbon (PeVL 13/2008 vp). 19. The ESM Treaty is available at http://www.efsf.europa.eu/attachments/esm_treaty_en.pdf. 20. Statement of the Constitutional Law Committee on the approval of the Treaty Establishing the European Stability Mechanism (PeVL 13/2012 vp). 21. See for example Statements of the Constitutional Law Committee on the drafts of the Treaty Establishing the European Stability Mechanism (PeVL 1/2011 vp; PeVL 5/2011 vp; PeVL 22/2011 vp; PeVL 25/2011 vp). 22. The Constitutions of the Netherlands, Belgium, Spain, Cyprus, Lithuania, Luxembourg, Poland, Slovenia, Denmark, Czech Republic and Estonia are without direct references to the EU. However, of these, Greece, Cyprus, Estonia, Poland, Belgium, Czech Republic and Slovenia have adopted some constitutional amendments as a result of EU membership.